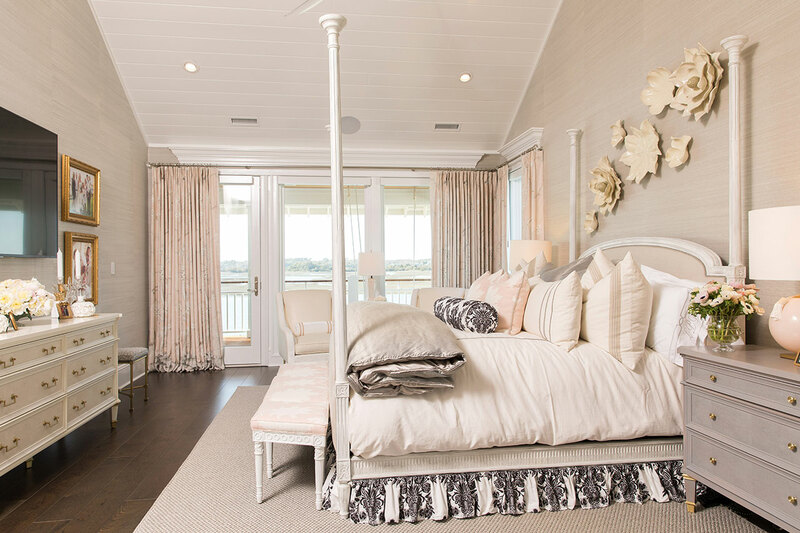 This master suite is beautifully positioned with a panoramic view of the water. 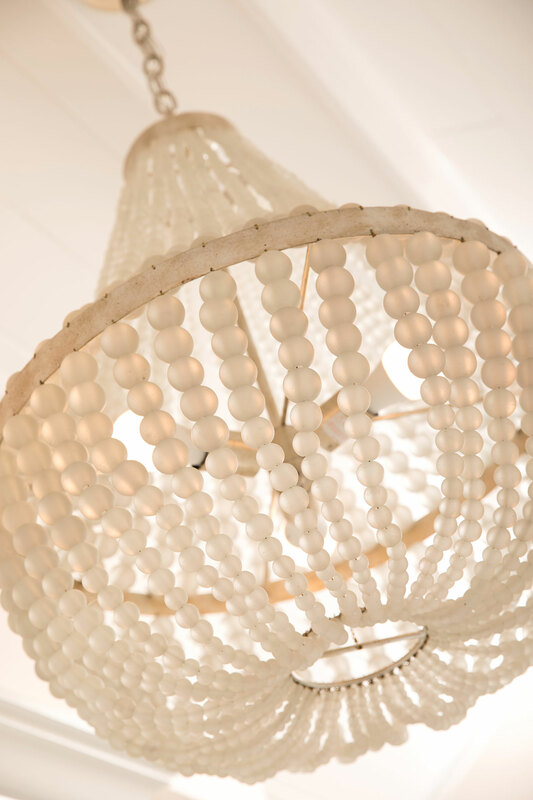 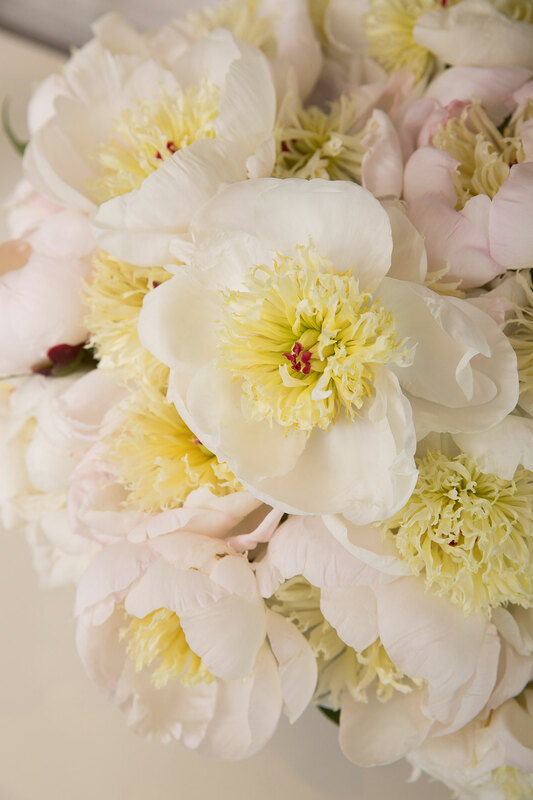 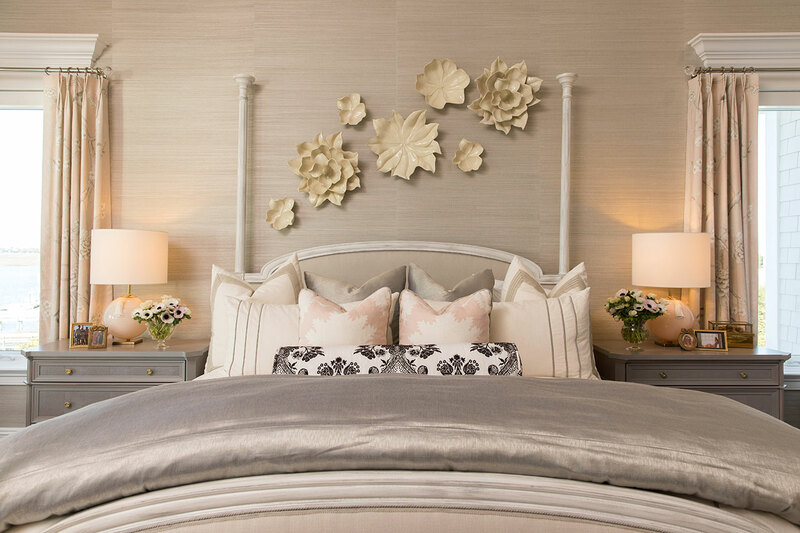 This client wanted something light, textural and romantic. 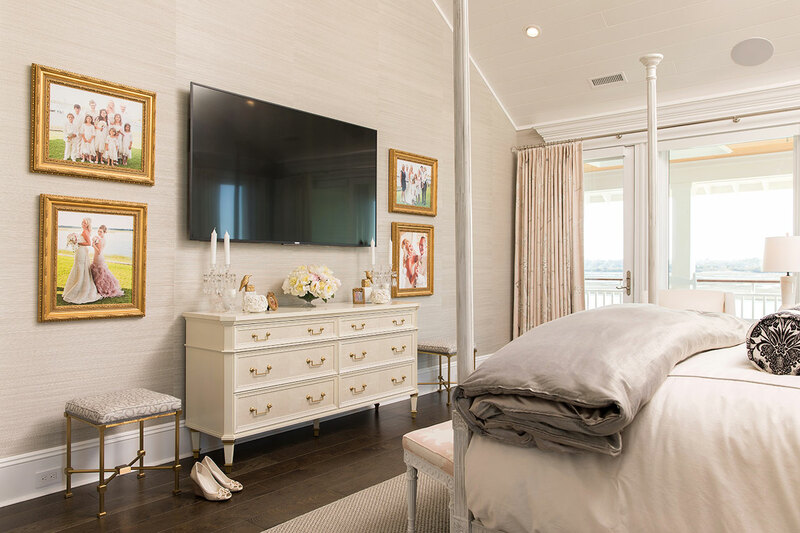 Paying homage to the coast with vaulted tongue and groove ceilings in high-gloss white, beautiful trim details and the perfect grasscloth wallpaper in a soft gray tone, the rest of the space could be used to fill with all her favorite things. 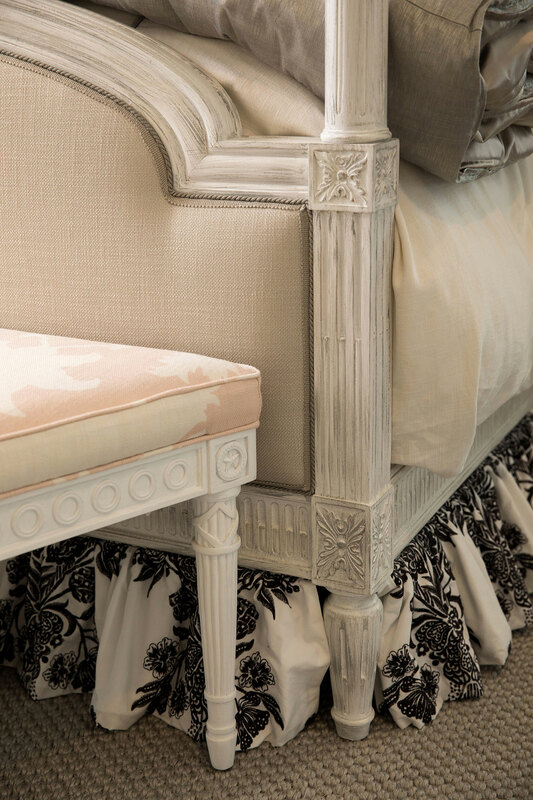 To create a romantic look, we started with a poster bed with ornate carvings and trim. 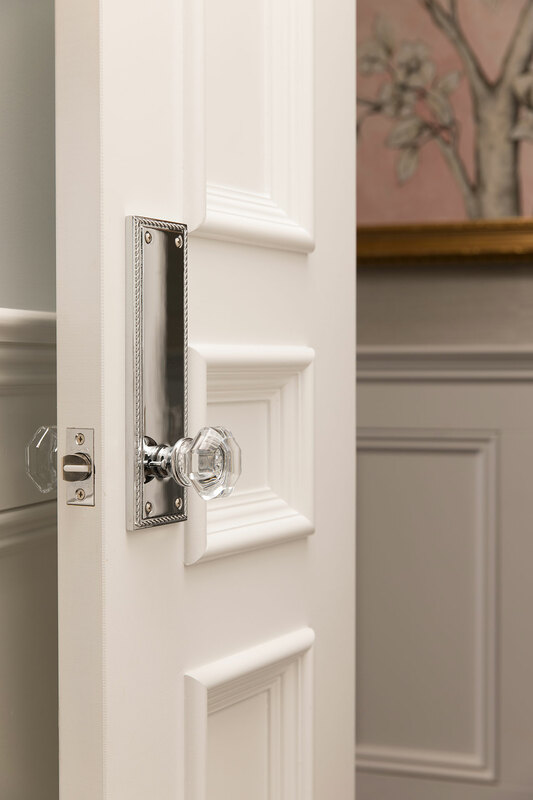 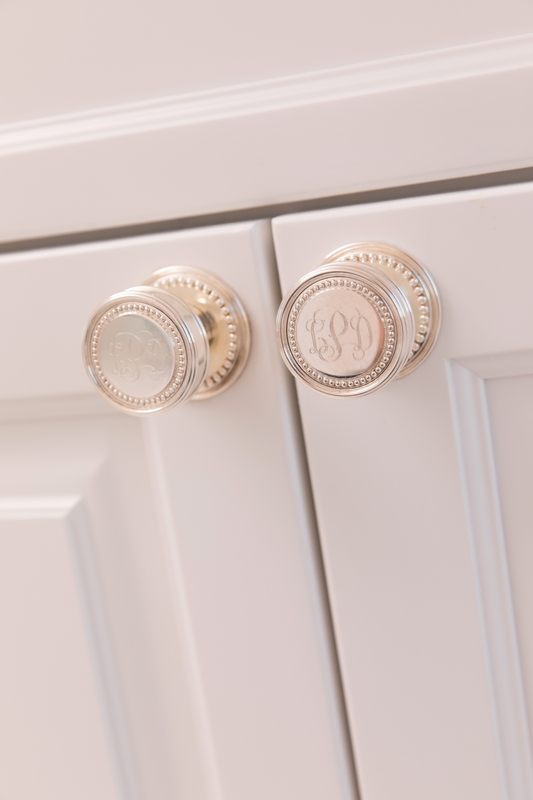 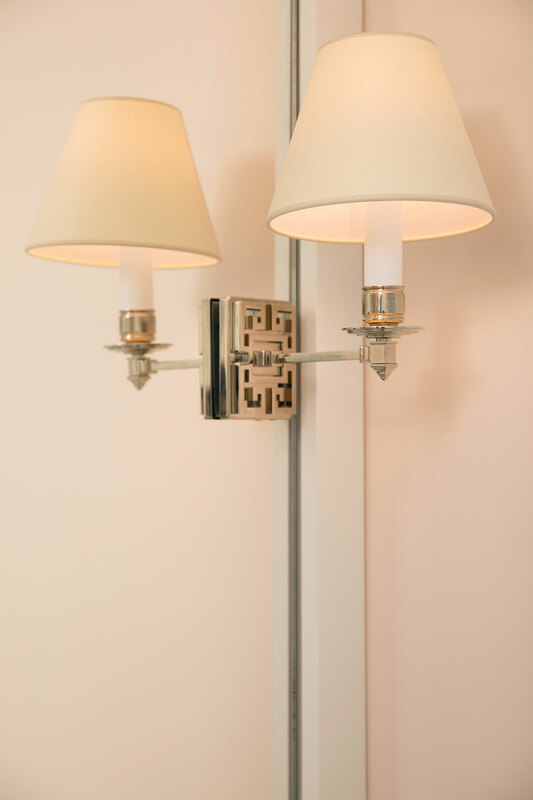 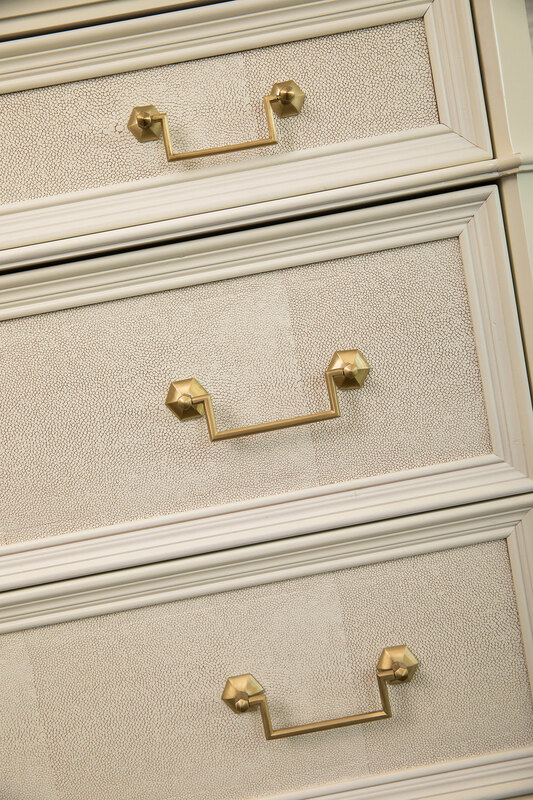 Building on that, we sourced nightstands and a dresser with shagreen drawer fronts and custom brass hardware. 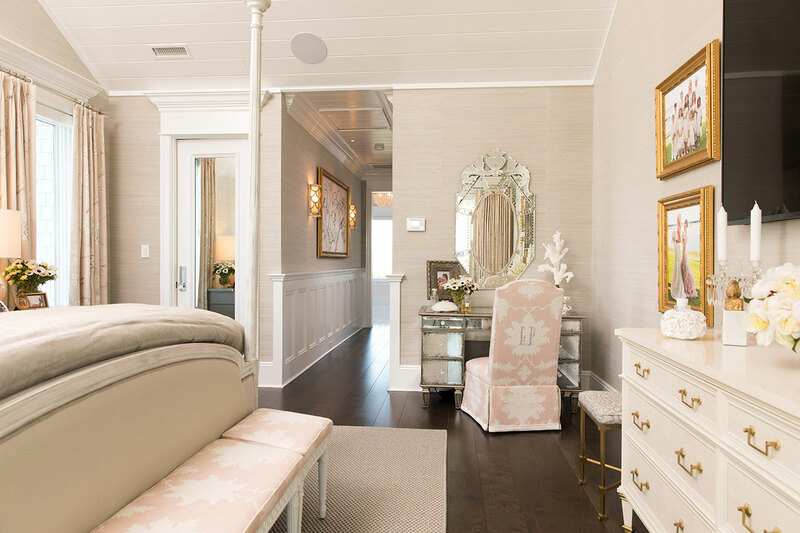 A mirrored vanity was a must, and we completed it with an ornate venetian mirror and a monogrammed skirted chair on casters. 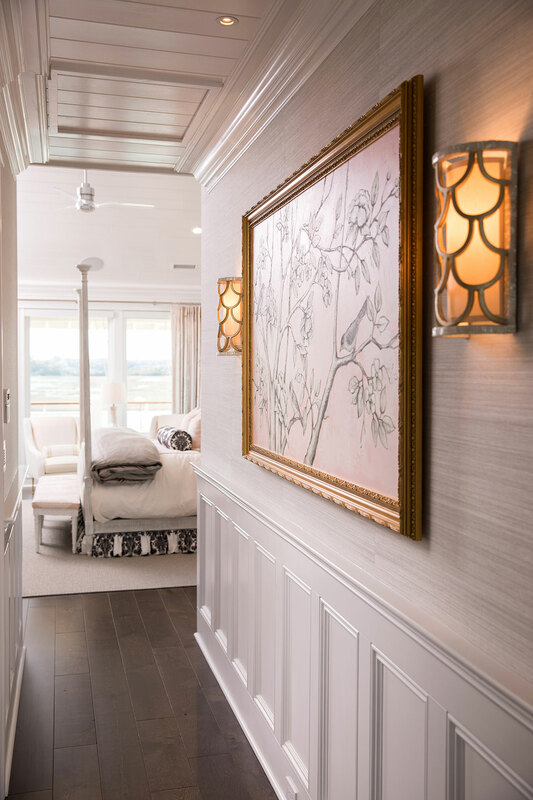 The drapery, art and accessories really brought this space to life- using blush traditional chinoiserie fabric for the drapery and custom pillows and bed skirt to complete the bed. 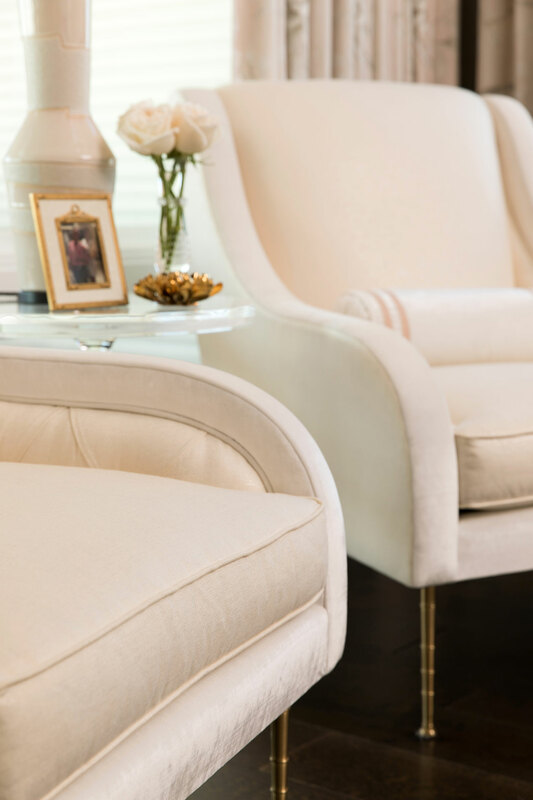 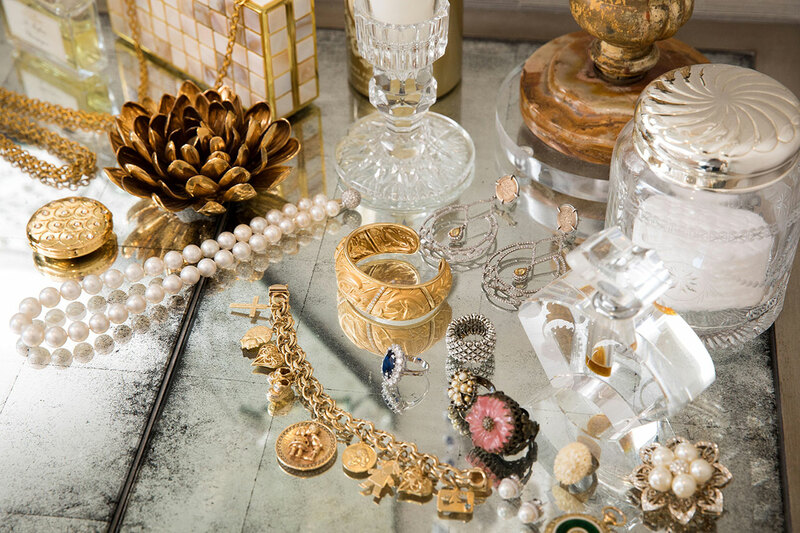 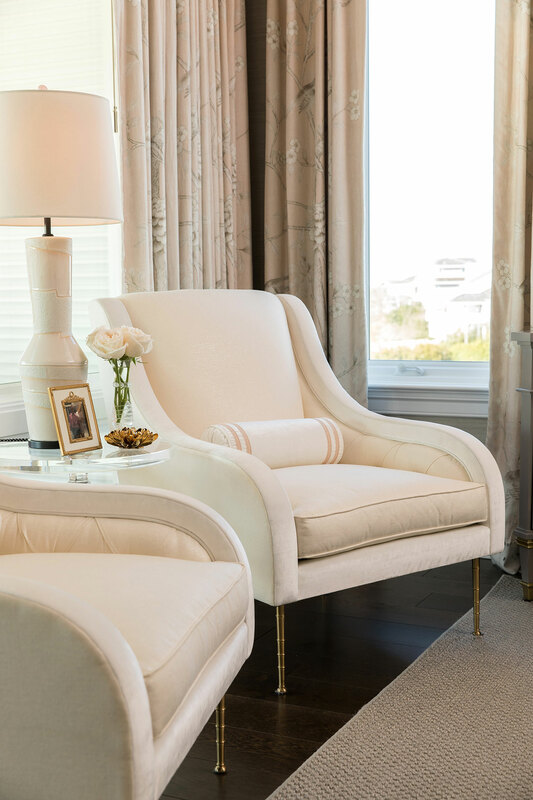 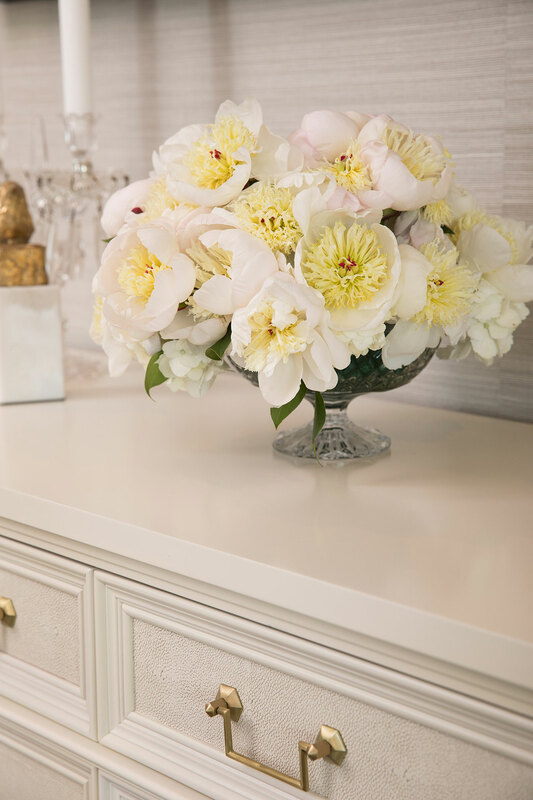 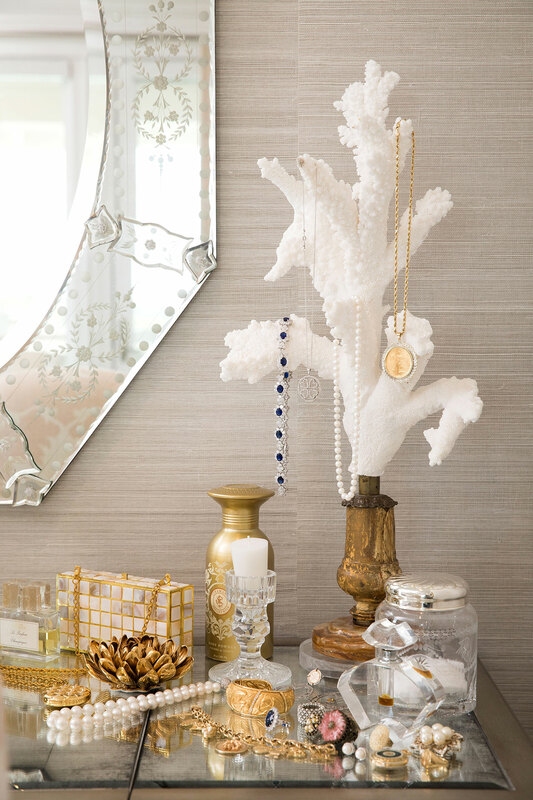 The client’s love of florals and crystal can be seen in the floral art arrangement over the bed, and the crystal pieces on the dresser and vanity. 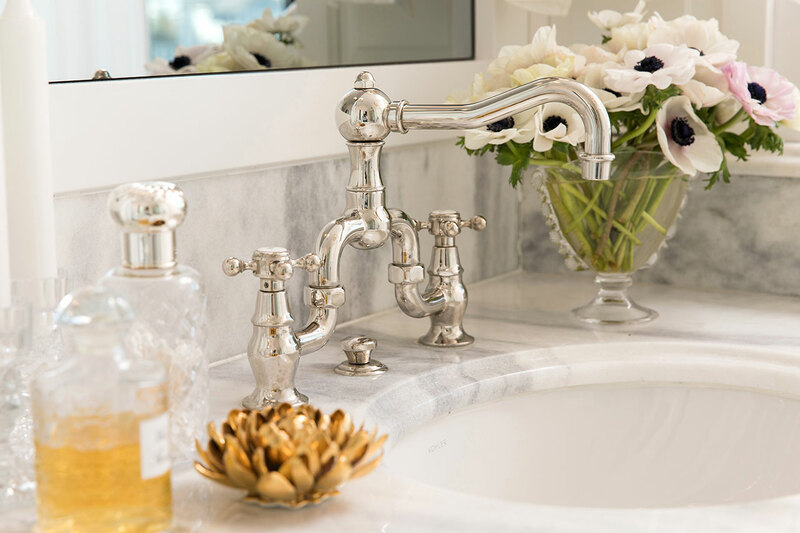 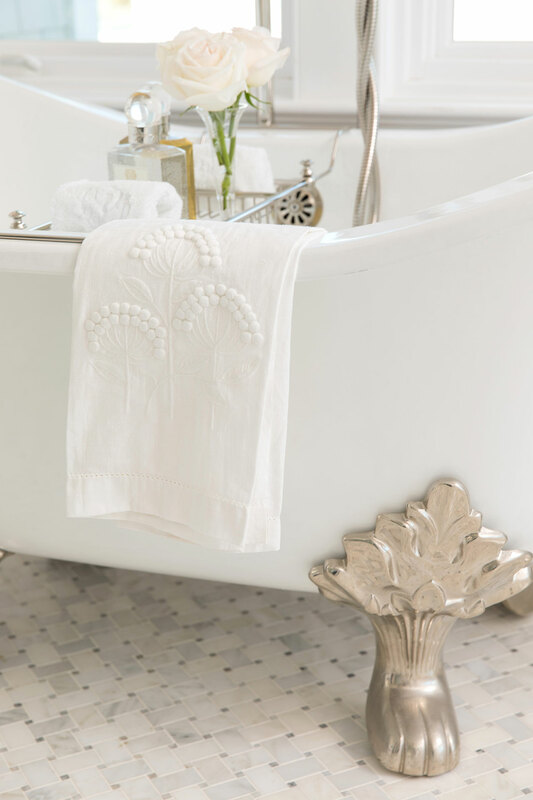 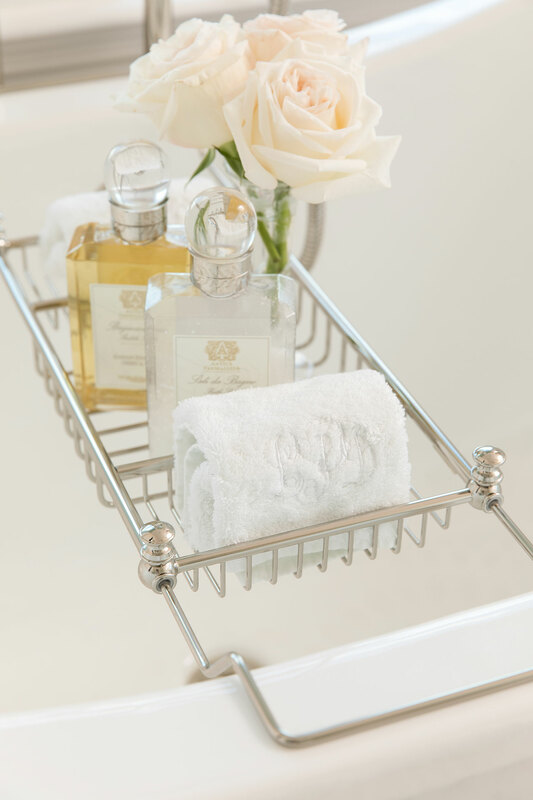 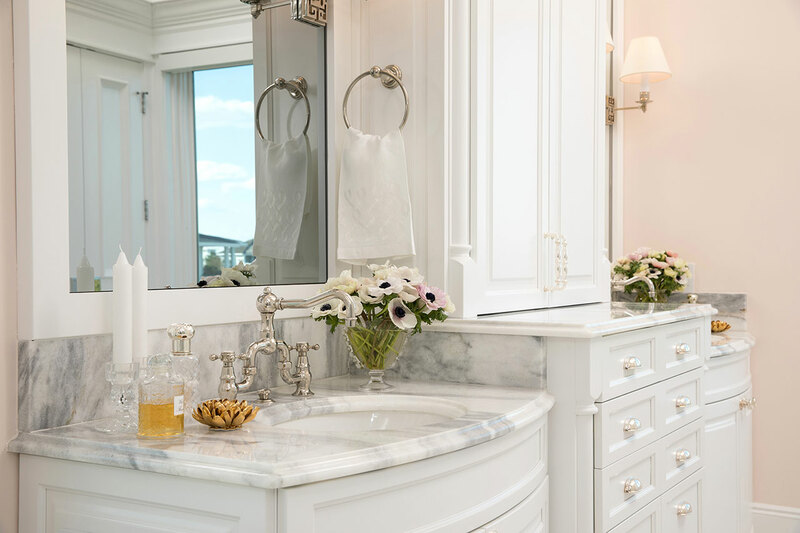 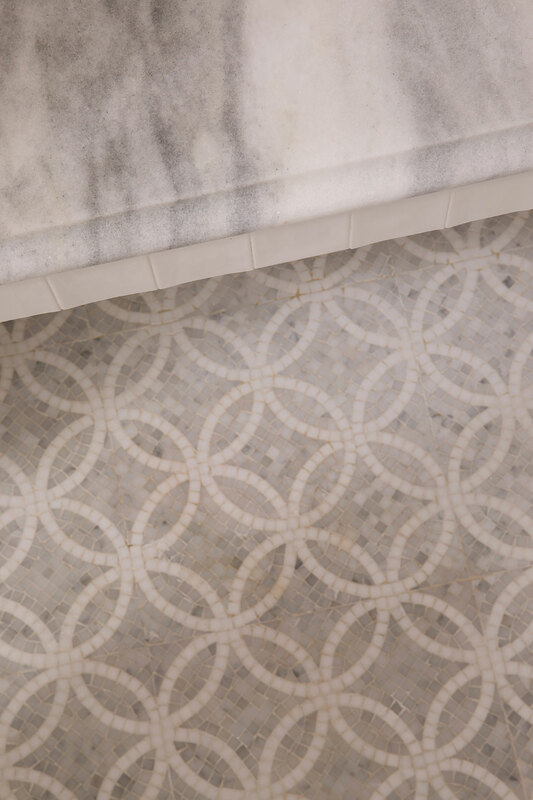 The master bath had to be just as romantic as the bedroom, using marble tile, monogrammed sterling silver hardware, a classic clawfoot tub and custom bow-front cabinets to complete the romantic look.